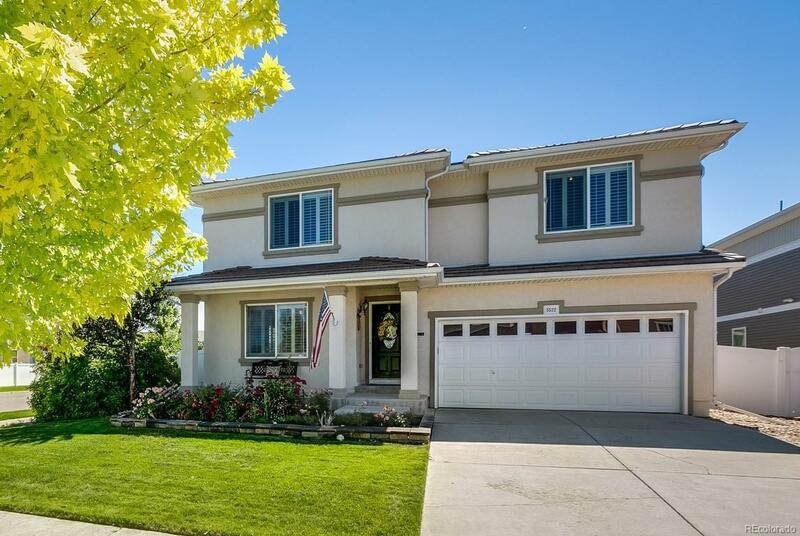 This is a must see, 4,454sqft, 4 bed/5 bath home in Green Valley Ranch with a finished basement! This corner lot home features an open floor plan with the large kitchen adjoining the family room with oak floors & a cozy gas fireplace. Upstairs, are 4 beds, plus a bonus loft/family room & 3 full baths. The basement is finished with another living area, bathroom & plenty of space for storage & a workout area. Updates include NEW: AC, 2 furnaces, water heater & refrigerator in 2018. Enjoy the raised garden bedsalready planted with tomatoes, cucumbers & rhubarb! This home also features a SMART keyless entry & security system & solar panels for low electric bills. Green Valley Ranch is just around the corner from Denver Intl Airport & only 3 miles from the light rail station with direct access to downtown Denver! New interior paint throughout.